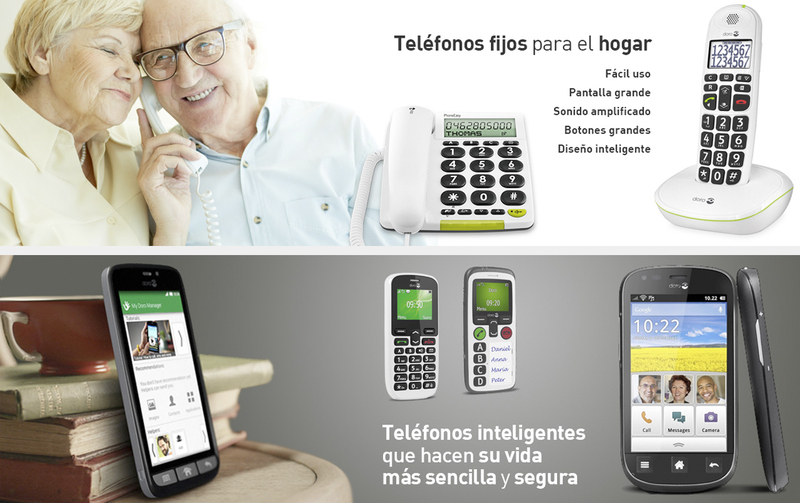 Mundo Senior is a company dedicated to the sale of products that make life easier in difficult times. 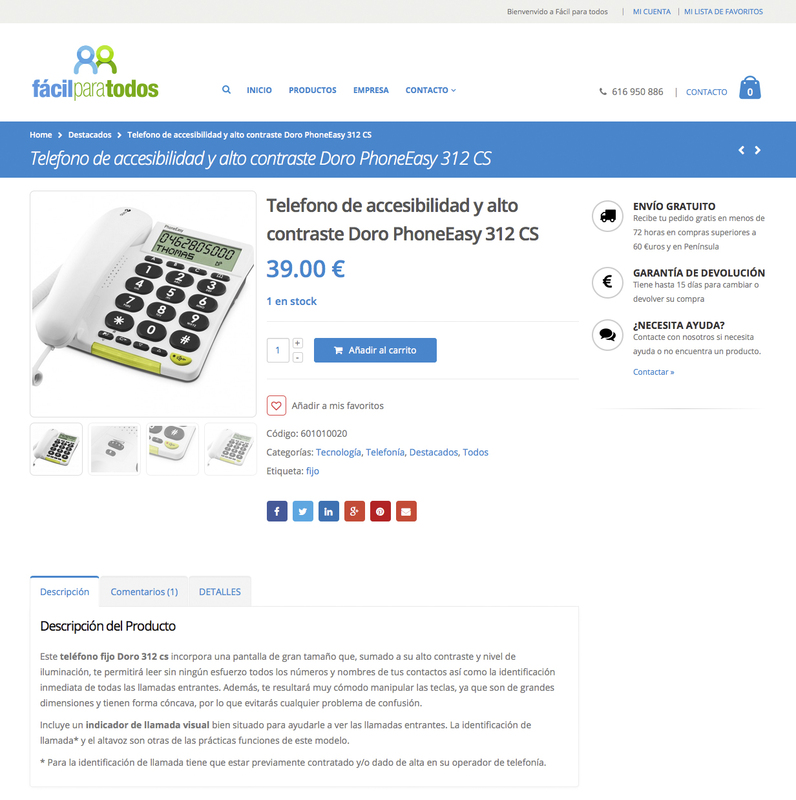 Articles not only for older people, but also for people of all ages with difficulties, for example to put on a shoe, to open a can or make a phone call. 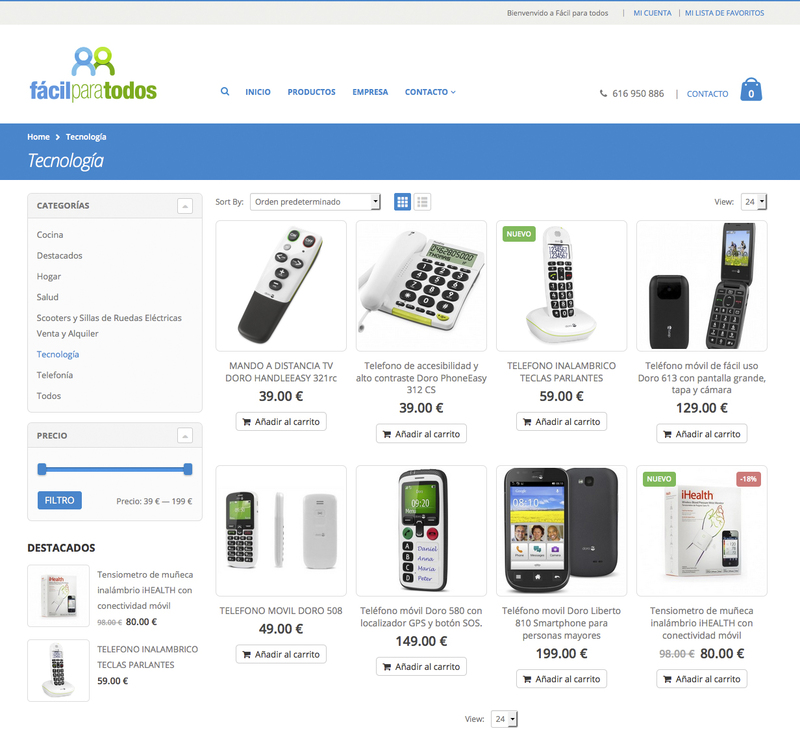 Through Facilparatodos.com the user can browse through the different categories to find the perfect gift. The site based on CMS allows our client to manage the totality of the stocks, sales and also to sell and publish or edit new products.